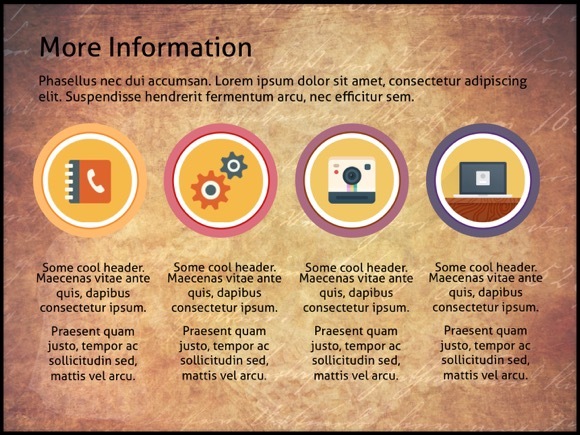 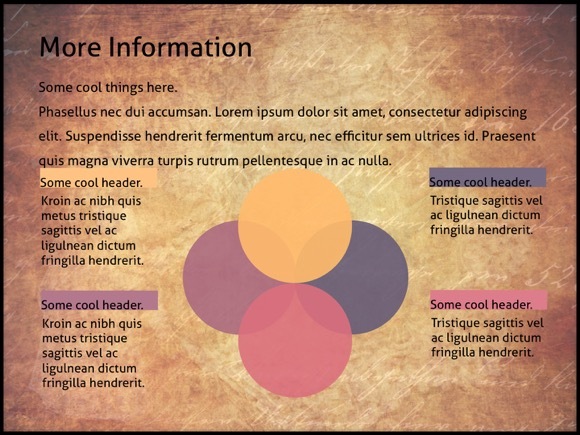 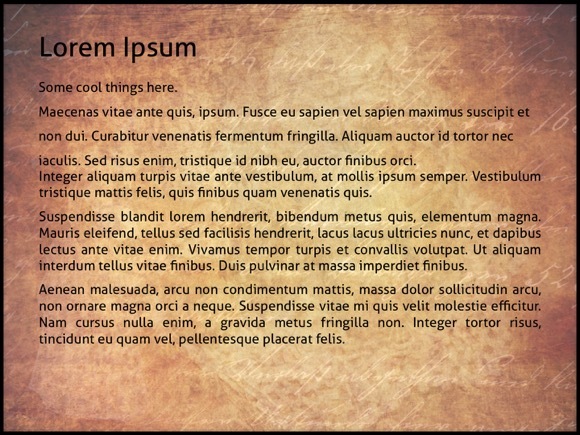 Vintage PowerPoint template - FREE! 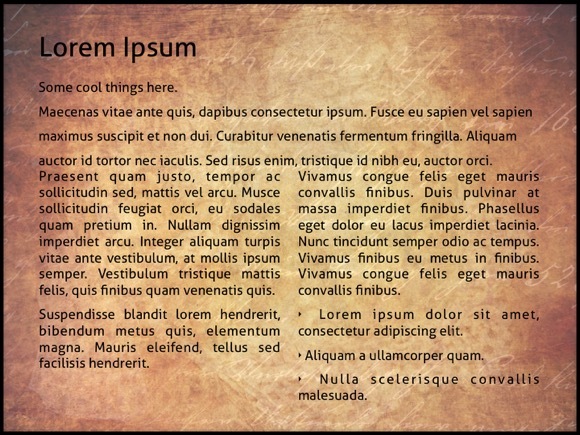 This is another impressive Vintage Powerpoint Template, which is great for old and retro powerpoint demonstrations. 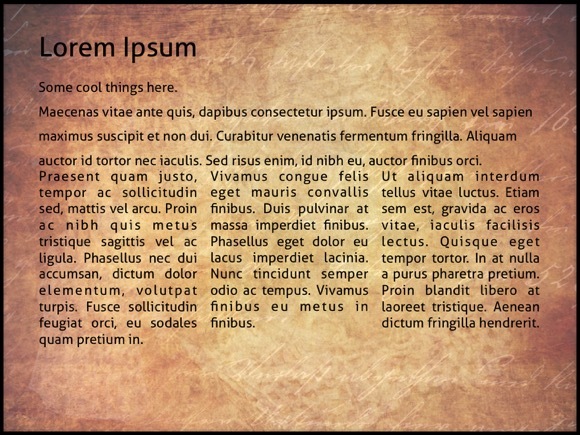 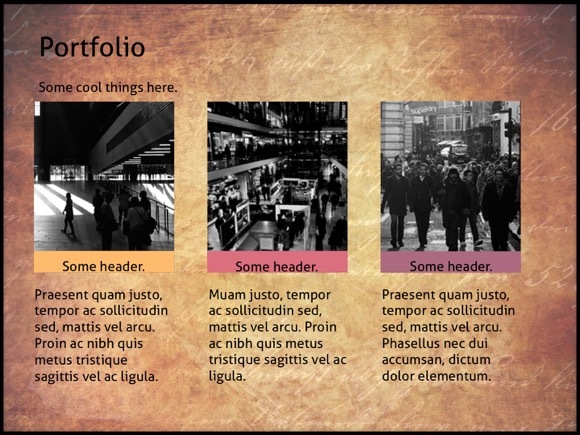 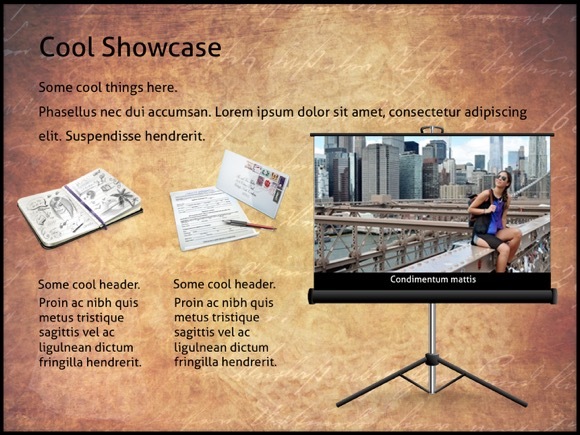 It uses an old paper background, which is perfect if you have a presentation about Ancient History. 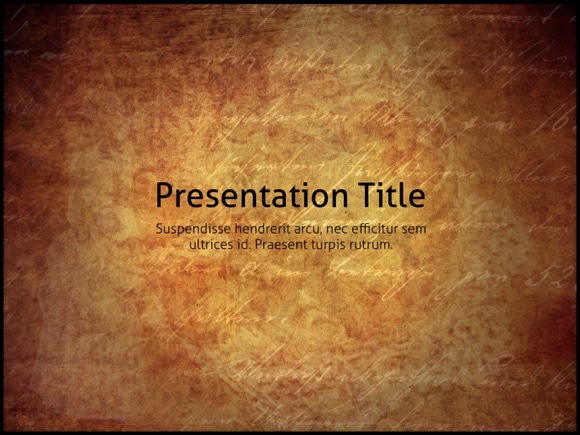 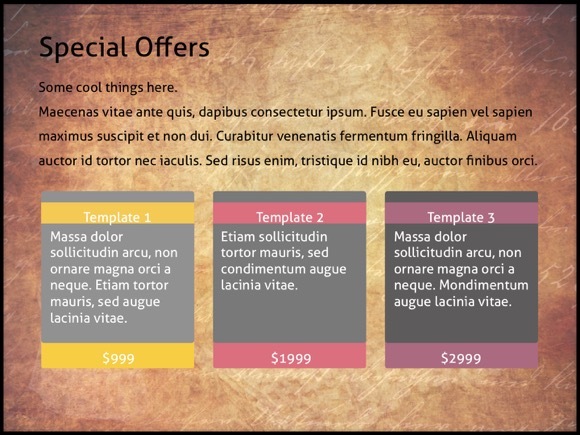 Download this vintage theme and use it for your own powerpoint project. 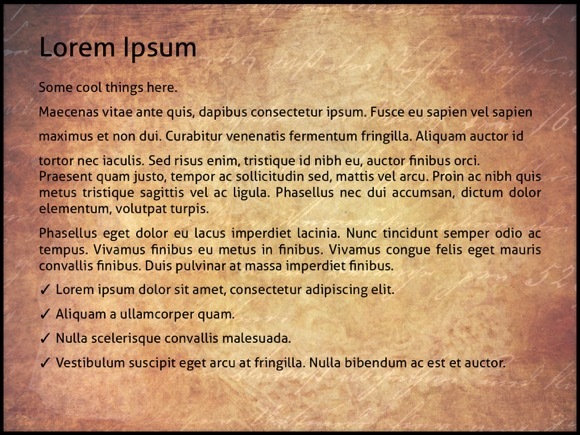 Don’t forget to share it with others.